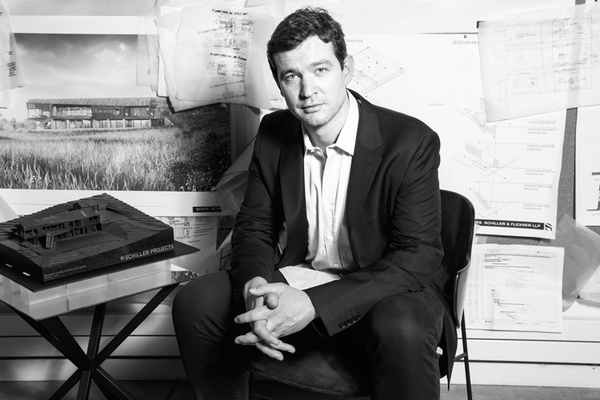 Aaron Schiller is the founder and principal of Schiller Projects, a strategic design consultancy and architecture practice operating around the country with a team in Manhattan and San Francisco. Aaron comes to design and architecture after a decade working in a range of fields from urban planning to community organizing. He marries a deep commitment to design with operational experience organizing public and private communities. Aaron previously worked around the globe for Santiago Calatrava developing a keen understanding of layered client solutions at the urban as well as human scale. His great interest lays in developing design based strategies for experiential and architectural solutions that empower the key stakeholders to optimize their own environments.